We are the wholly owned subsidiaries of Rais Hassan Saadi Group of Companies which was founded in the year 1910 with shipping and freight related services as its core activities. Being part of RHS Group of Companies, our journey over the last 20 years has been truly fulfilling, thanks to our valuable customers’s consistent support to us. It is your relentless support that has got us the honor of Most trusted Non-vessel Operating Common Carrier in Middle-east region. With the foundation of your solid support and an endeavor to bring aboard the fullest satisfaction in our transactions to our valuable customers, we continue to strive hard to get the best deal for you while expanding our scope of service offerings between and beyond the ports of Indian Sub-continent and Middle-east region. 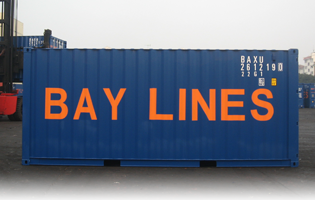 BAY LINES, an Non-vessel Operating Common Carrier (NVOCC), was established in 1994 in Mauritius with operational headquarter in Dubai under RHS Group umbrella with an idea to cater to the ever-growing cargo trade between Indian sub-continent and West Asia Gulf. ARC LINE, as Non-vessel Operating Common Carrier (NVOCC), was established in 1994 in Mauritius with operational headquarter in Dubai under RHS Group Umbrella with an idea to cater to the buoyant reefer trade between Indian sub-continent and West Asia Gulf. 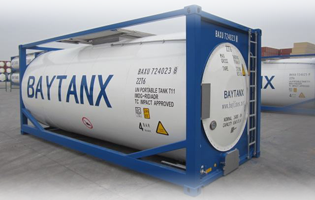 BAY TANX, since 2012, under Bay Lines fold, caters to the tank segment vertical and we have a brand new fleet of Non-Food grade T11 tanks (26KL & 24KL capacity) to cater to Chemical transportation between Indian Sub-continent and Middle-east Ports and between Intra Middle-east Ports. Our e-brochure on Bay Tanx has the exhaustive information for your perusal. M.V.Port Klang , a newly chartered vessel of Sunmarine Shipping Services LLC ( A Rais Hassan Group subsidiary) , berthed at Sharjah Port on her maiden commencement of voyage on 11th March 2019. Bay Lines, one among the pioneer operators, initiated taking loads to DICT, Sonapet at an early stage of working of the ICD. 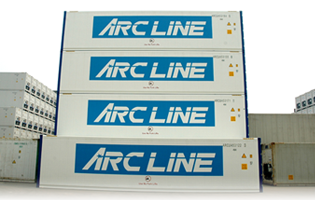 ARC Line/Bay Lines are a brand to be reckoned with in reference to transportation of Dates cargo from Gulf to Indian Ports, be it on Reefer or Dry containers. Following link be of interest .